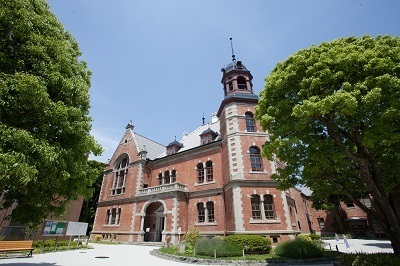 We received a letter from a couple who had their wedding ceremony performed at the Byron Clark Memorial Hall in Doshisha University on July 6th, 2013. They wrote us to commemorate their first wedding anniversary. I could picture the happy couple by just reading their letter which described their daily life. I still remember one scene from the meeting we had with them; the bride was talking happily while the groom was just listening to her story quietly. “They must be getting along for a long time.” That was what I thought after reading their letter. We appreciate that they sent us the letter which was full of happiness.